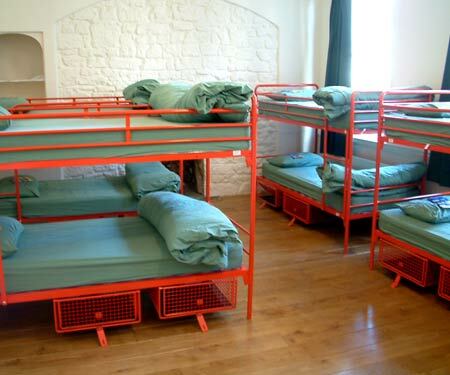 We currently boast 14 truly fantastic youth hostels and budget hotels, throughout the UK and Europe. We're in the best cities to guarantee you an exciting, culture-rich experience and a securely safe base. 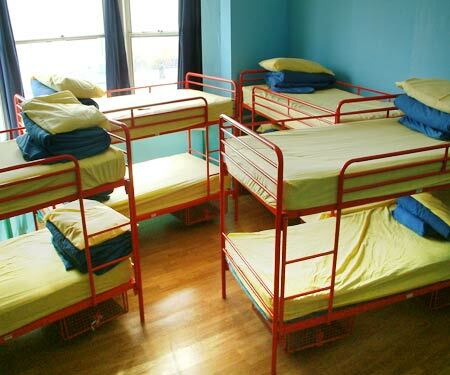 In London alone we have seven very different hostels in four very different neighbourhoods. Our London Bridge trio includes the party-hard Village, the historic Inn and the quiet and cosy Orient Espresso. 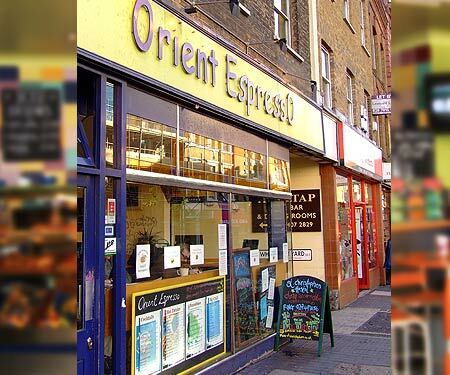 Crazy Camden town brings us the hostel with attitude, Greenwich offers up heaps of culture with a small town feel and in the West End we have Shepherd’s Bush and our BRAND NEW base in Hammersmith, for all your shopping and theatrical needs. You’ll be tripping over sights to see in Edinburgh with the Royal Mile and Waverly train station mere meters away. 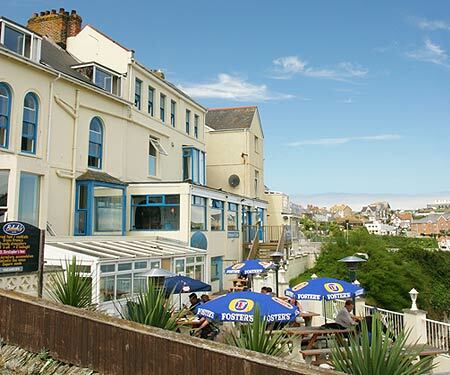 Newquay’s cliff-top location brings out the best in the English summers and in the famous seaside city of Brighton, we’re in the thick of things next to the Brighton Pier. 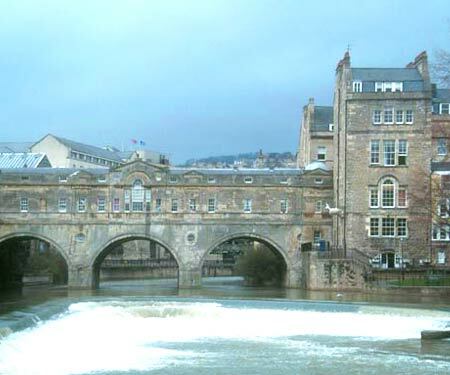 If you want culture, theatre, history, shopping and then some, head to our Bath base for a guaranteed good time. 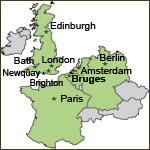 Beyond the UK you can choose between the romantic canals of city-central Bruges, the bicycle mad Amsterdam, the manic and dynamic city of Berlin and our custom built Paris hostel, which will be up and running on the Amelie Canal in December 2007. If you crave luxury and privacy then Interpub can once again deliver because we've also got budget hotel accommodation, built into our company portfolio. Located in Brighton, Amsterdam, Bruges and Berlin, our hotels will award you the same comfort, safety and fun as our dorm-style hostels. 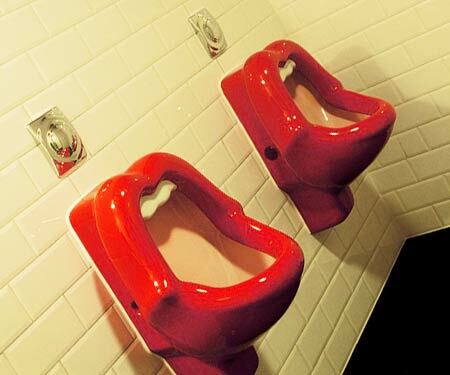 The hotels however come without the communal bathrooms or the loud roommates. 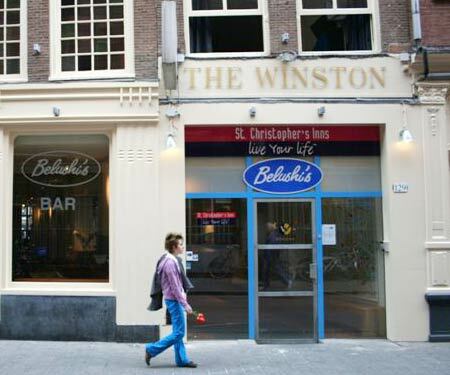 Stay at St Christopher's at the Winston in Amsterdam and you can choose your own themed room. 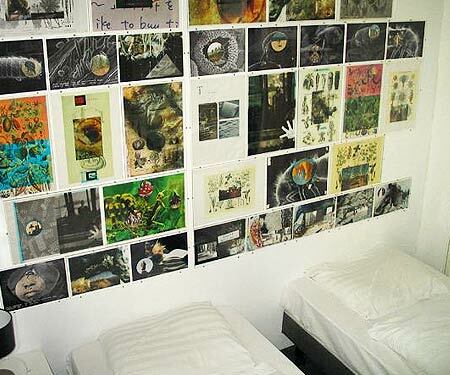 Each hotel room was decorated by the hottest designers and no room is like another. Between buttons and fetish island paradises, you'll never know what you'll be walking into. 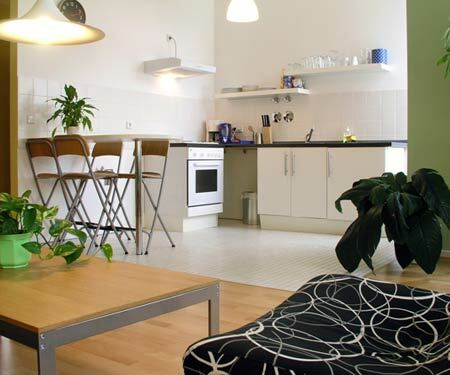 In Berlin we have opulent apartments where you can do your own thing in style. 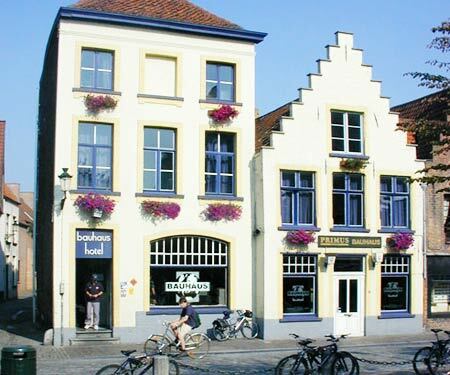 At the Bruges hotel you’ll find the rooms in a traditional Belgian step gable house. 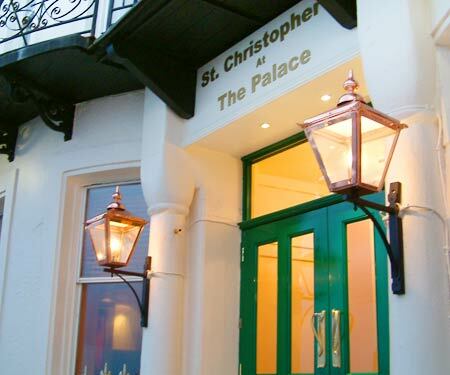 In Brighton St Christopher's at the Palace Hotel welcomes you to a scenic seaside view. 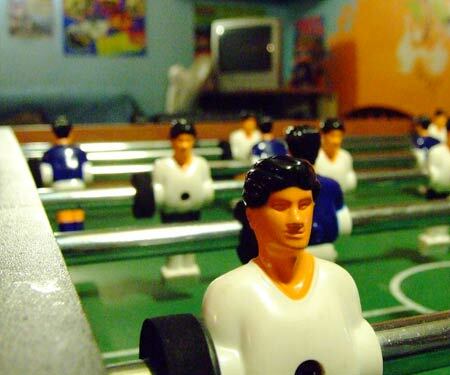 When you're staying at St Christopher's in Amsterdam you're already in the middle of all the action. 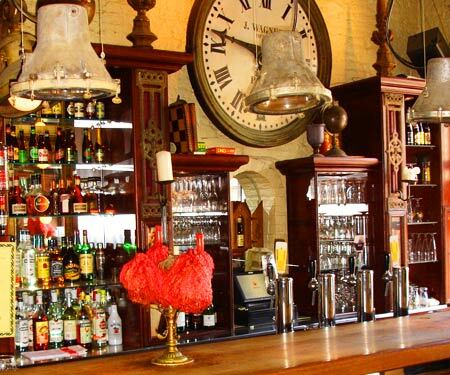 The Red Light District is in your back yard and you're surrounded by pubs, restaurants and cafes. The Canal Cruises launch just around the corner and you can find a whole host of museums just minutes away. Dam Square is also close by and it's a great place to get your bearings or simply watch the day go by. 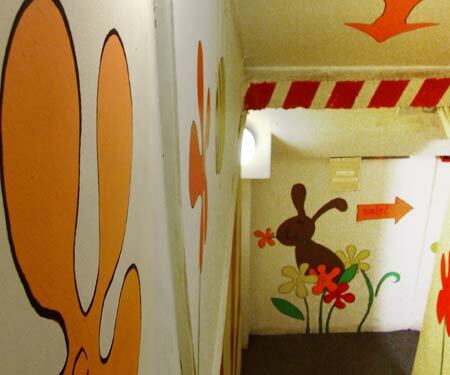 To find out more about our Amsterdam Backpackers Hostel click here. St Christopher's present another great city center location with easy access to Stonehenge. 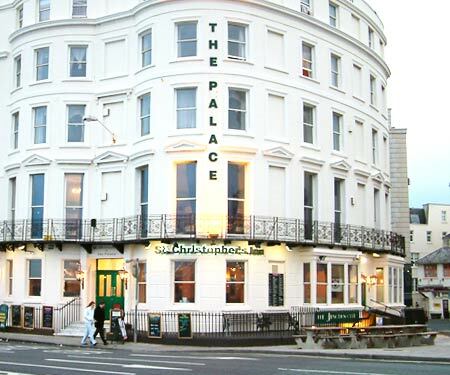 This backpacker hostel is only seconds away from the stately Bath Abbey, the historic Roman Baths and the beautifully green Queen Victoria Park. 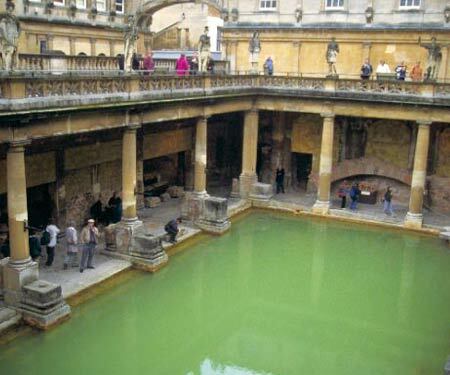 Take a stroll along the nearby Avon river canal, fall in love with the city and timetable a trip to the mysterious Stonehenge to learn all there is to know about the Druids. 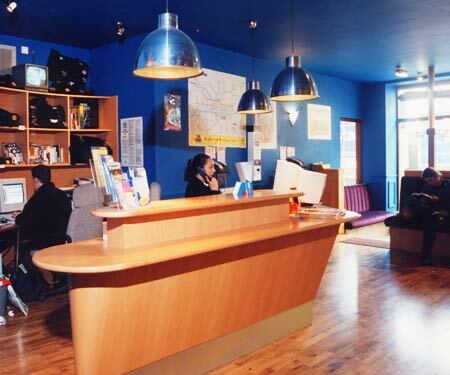 To find out more about our Bath Backpackers Hostel click here. 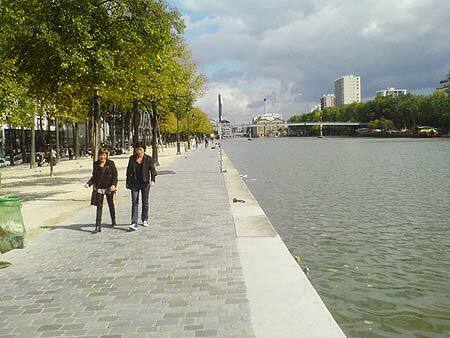 It's famous for the extroverted nightlife, the cultural scene, the amazing architecture and the lively crowds. In travel terminology this means you're always in for a treat when you visit Germany's capital. 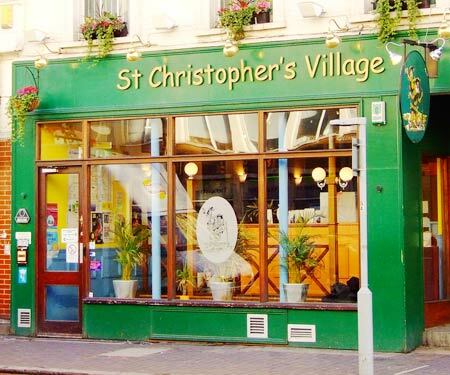 Step inside St Christopher's, meet our friendly reception staff, see the wonderful things we've done with neon in the vibrant bar and take it down a notch in the street caf�. 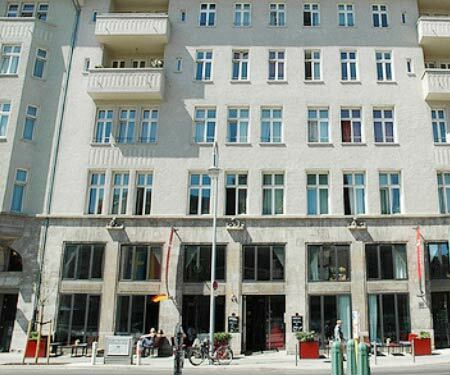 To find out more about our Berlin Backpackers Hostel click here. The downtown core of this mini city fits into one small square mile. There's so much excitement crammed into this cube that you're going to need plenty of time to squeeze it all in. 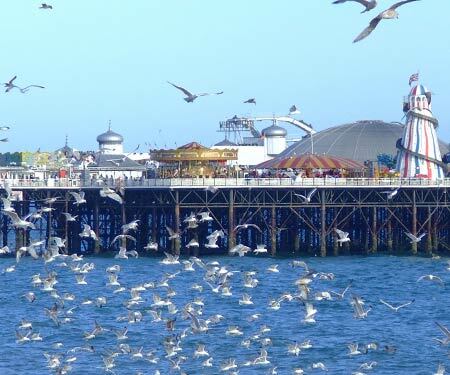 In the center of all this is St Christopher's which means that once you settle in, you're only seconds away from the Brighton Pier, the Royal Pavillion and the trendy retro shops along the lanes. 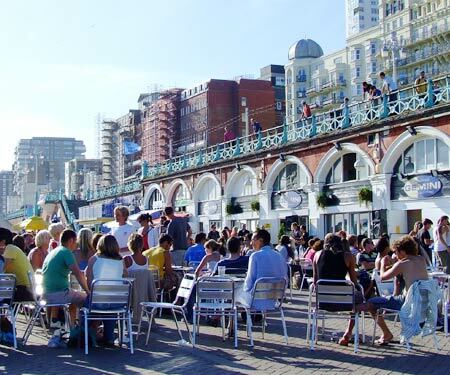 To find out more about our Brighton Backpackers Hostel click here. 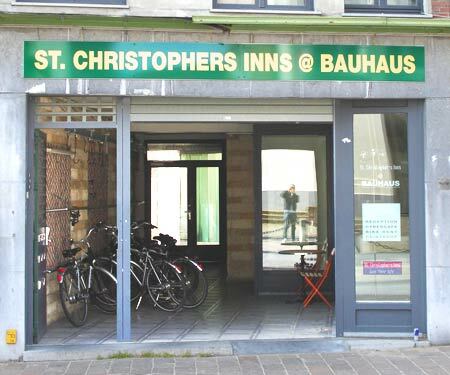 St Christopher's at the Bauhaus is a backpacker's dream. 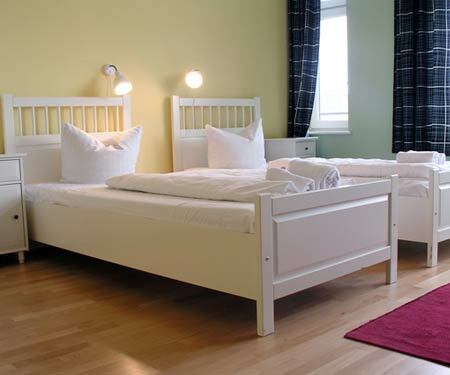 You can choose between the economy hostel or treat yourself to an upgrade in one of our hotel rooms. 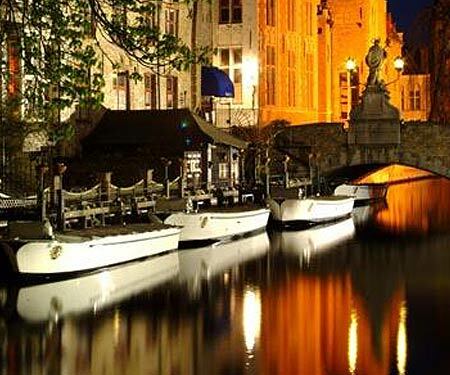 It's only minutes away from the city centre, you're close to the canal and a short walk takes you to the bustling Burg Square and the Belfry in Markt Square. 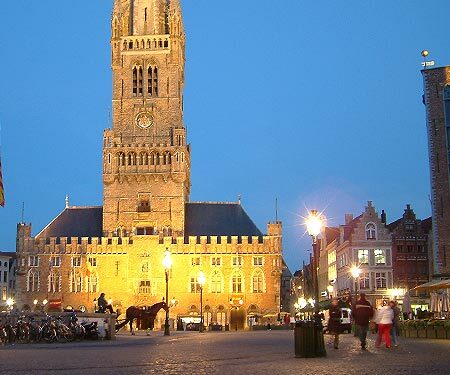 This is in fact the tallest belfry made solely out of brick in Europe! 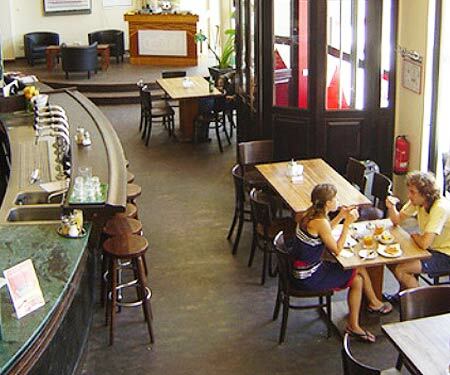 To find out more about our Bruges Backpackers Hostel click here. 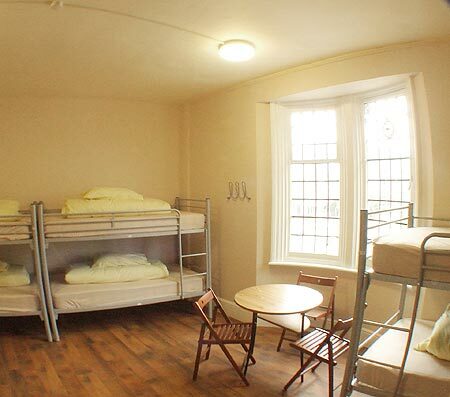 For a city central youth hostel in London with attitude there's no where like St Christopher's in Camden. 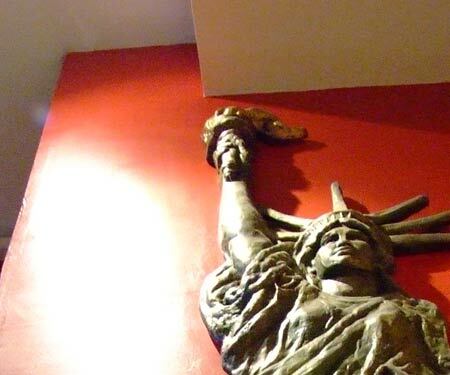 This has long been a haven for the artistic types and there are plenty of pubs, clubs and bars to keep you entertained - including the legendary KOKO's (formerly the Camden Palace). Tour the six markets spread across the high street or stop by the Camden Locks for a drink and watch the barges pass by. You can also check out Regent's Park for a relaxing stroll. 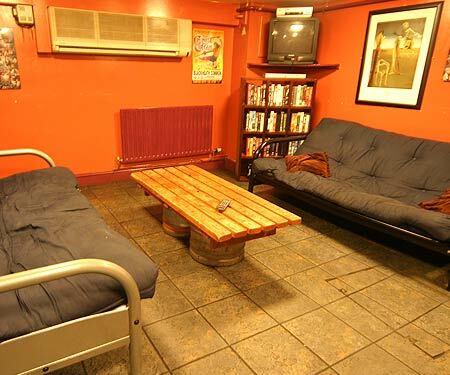 To find out more about our Camden Backpackers Hostel in London click here. 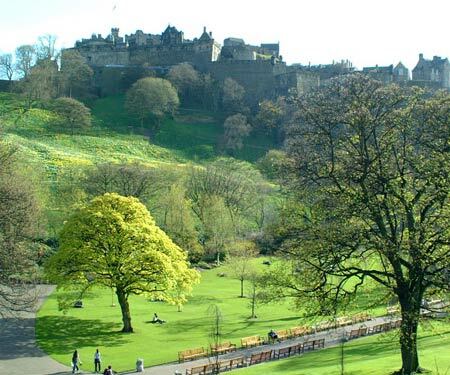 Edinburgh is fast becoming one of Europe's party capitals and we're ideally located in the heart of the city, only minutes away from everything you could want to see or do. 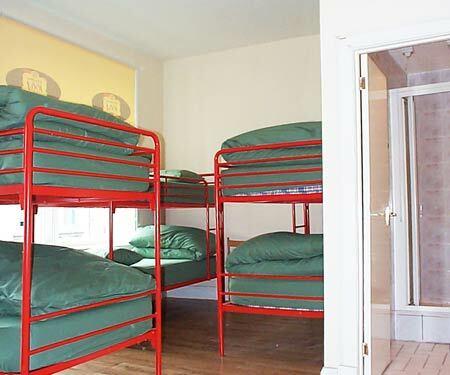 Fall out of Edinburgh Waverly train station and into our backpacker base, only 100 meters away. 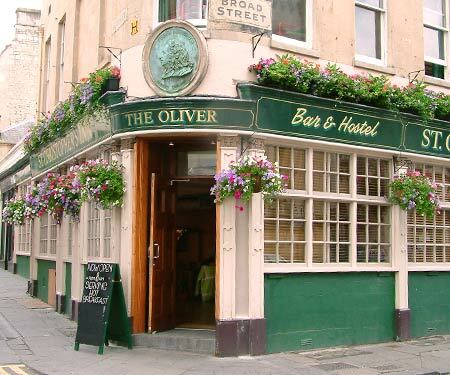 Traverse the Royal Mile, be part of the Fringe Festival and integrate yourself with a few thousand of years of history with St Christopher's. 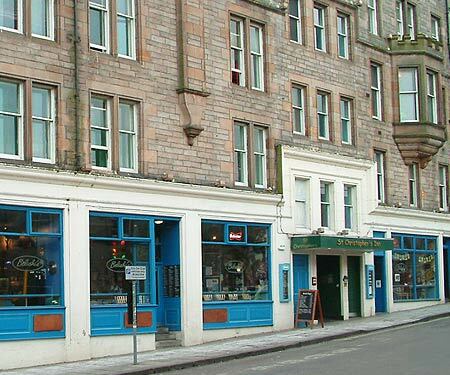 To find out more about our Edinburgh Backpackers Hostel click here. 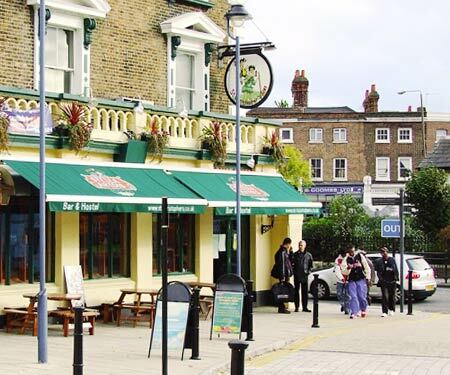 Our Greenwich backpacker hostel is nestled into a comfortable web of history and culture, amongst the legendary Cutty Sark, the Royal Observatory, the Prime Meridian and Greenwich Royal Park. 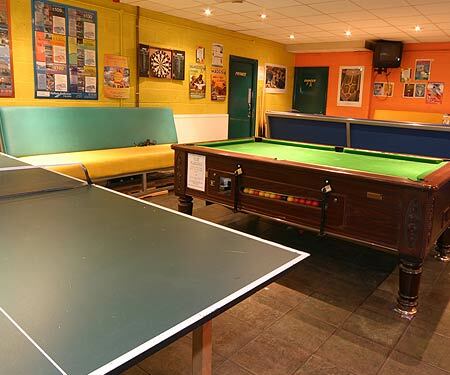 We are a cosy, friendly location with a small town feel and we're only minutes away from the hustle and bustle of the big city. Just walk out of Greenwich train station and you'll find us in the forecourt. 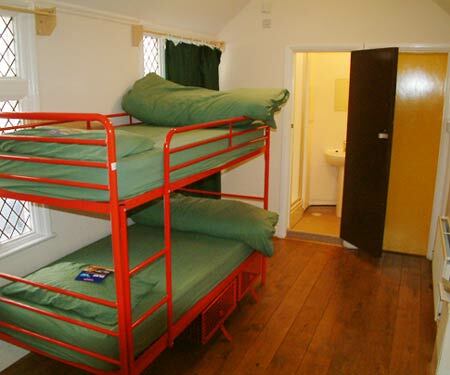 To find out more about our Greenwich Backpackers Hostel in London click here. 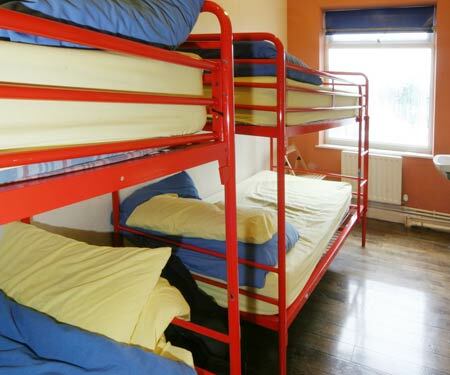 Situated right in the heart of West London's transportation hub, this hostel is the ideal base for exploring London. We're only 6 stops from Heathrow on the Piccadilly line and we're right next door to one of London's biggest bus stations. 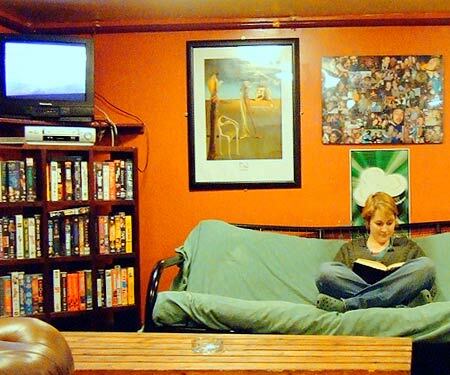 With a brand new Belushi's bar, a brand new hostel upstairs you couldn't ask for more. 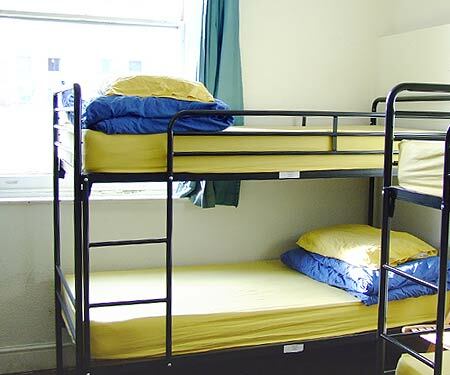 To find out more about our Hammersmith Backpackers Hostel in London click here. 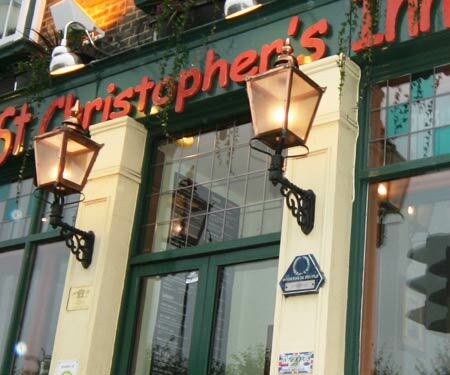 This is the home of the first St Christopher's female only zone – the Oasis at the Orient. 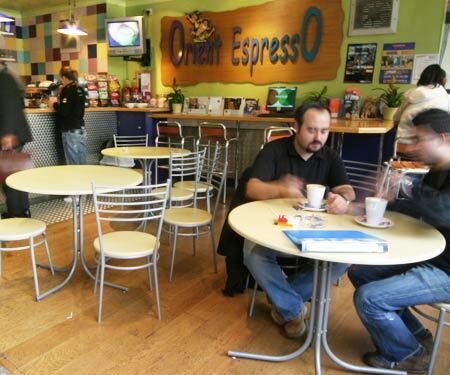 The London Bridge coffee shop and female friendly hostel, also doubles up as a cyber caf� and there are some superbly delicious treats on the menu. 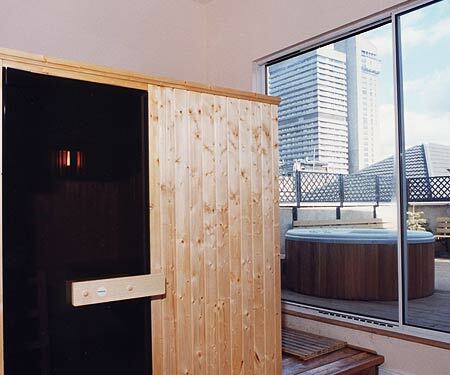 Better yet you can take advantage of all the perks at our other London Bridge sites, including a Belushi's nightclub, a traditional English pub, a roof top hot tub and a steamy sauna. 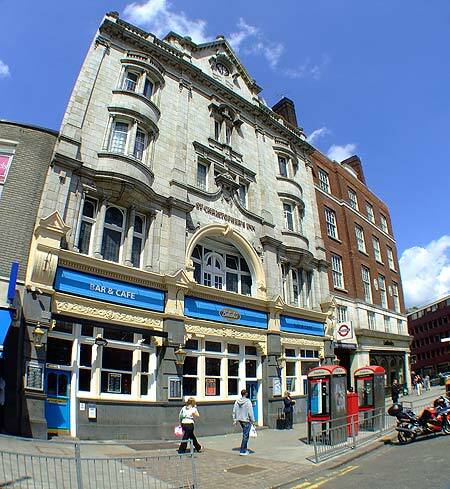 To find out more about our London Bridge Backpackers Hostel in London click here. St Christopher's Village and its sister hostel St Christopher's Inn, are just down the road from the Orient Espresso on Borough High Street. All three are just minutes away from the stunning Southbank, the infamous Borough Markets and the stately London Bridge. A short walk along the Thames will take you to the Tate Modern museum, the London Eye, the National Film Theatre and a vast array of restaurants and pubs where you can rest your tired feet. 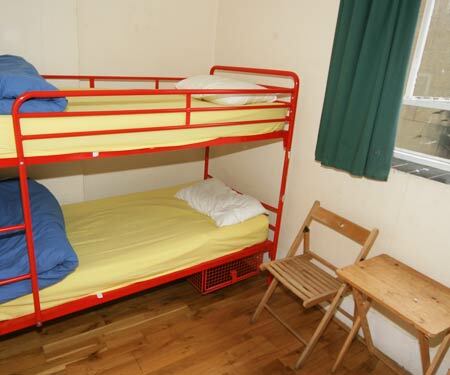 To find out more about our London Bridge Backpackers Hostels in London click here. 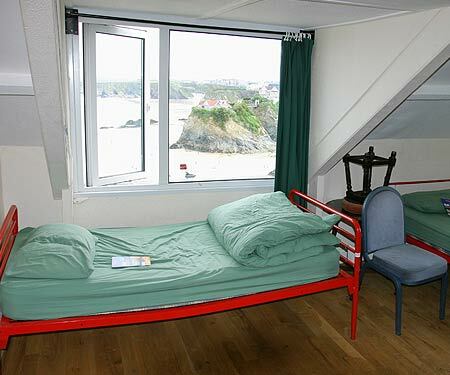 St Christopher's Hostel in Newquay is the answer to all your sun, sand and surf needs. 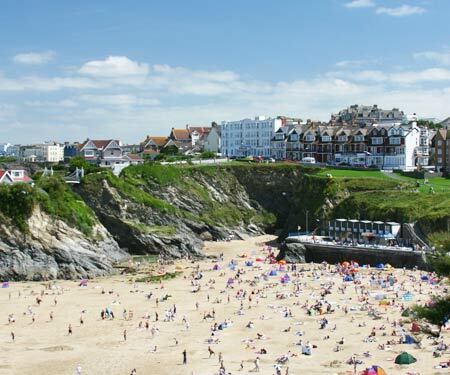 This is England's surfer paradise and it's also the ideal base for exploring the mysterious heritage of Cornwall. 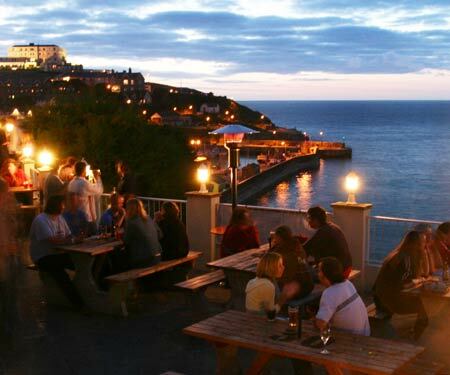 When you're staying with us make sure you take a trip to Tintagel Castle - the legendary home of Merlin the Magician, Uther Pendragon, King Arthur and the Knights of the Round Table. 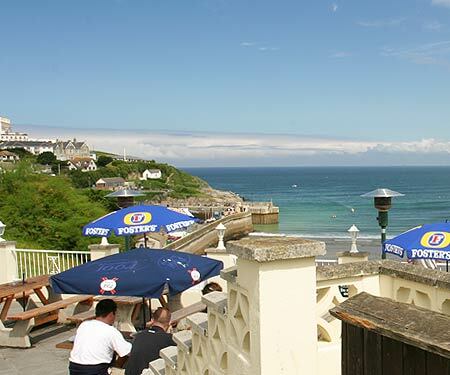 To find out more about our Newquay Backpackers Hostel click here. 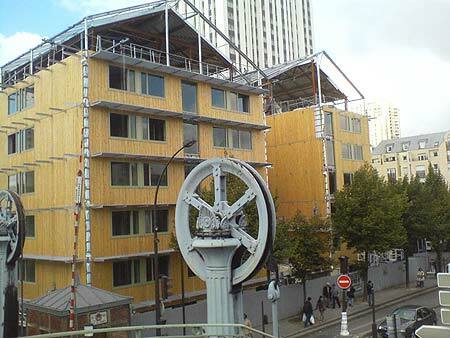 Welcome to our brand new, purpose built, 275 bed Hostel in Paris. 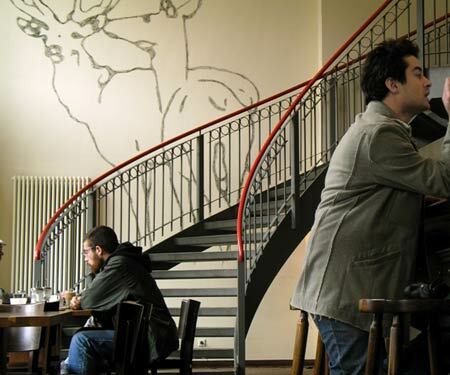 We've established our St Christopher's outpost just two stops on the Metro from Montmartre and Gare du Nord. 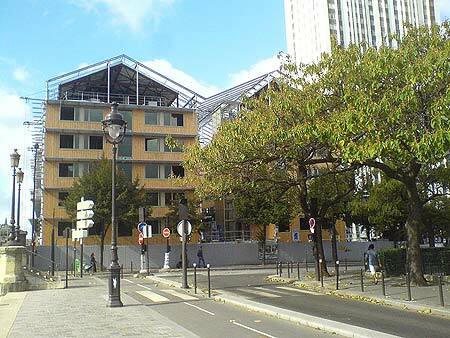 This is the most modern Backpackers Hostel in Paris and it has the best tours, packages and facilities for the best, most clued up backpackers in Paris. 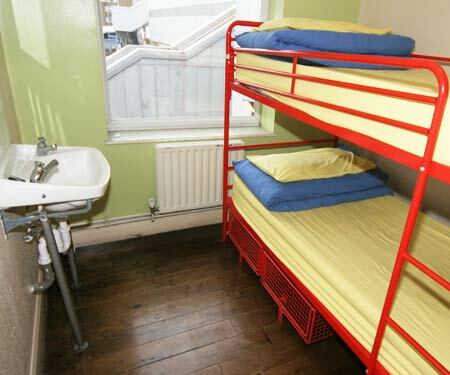 We've backpacked ourselves to within an inch of exhaustion to make this the benchmark for a new generation of hostels - so when you stay with us, be prepared for the time of your life. 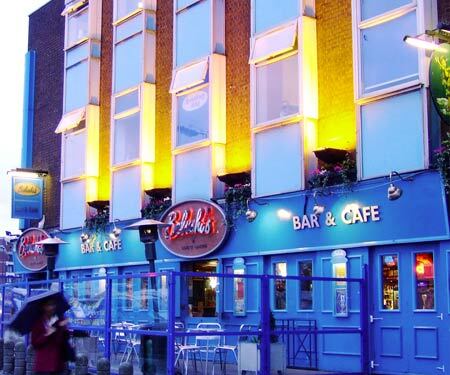 We've got live music, a great Belushi's Bar, free internet access and the backdrop used in the fantastic film Am�lie. 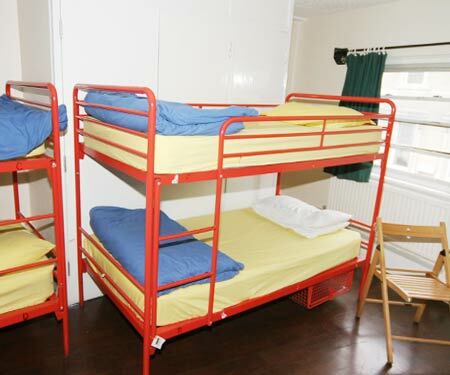 To find out more about our Paris Backpackers Hostel in London click here. When you stay with us at Shepherd's Bush you have great access to the West End – the home of London's biggest and best shops, theatres, monuments and museums. 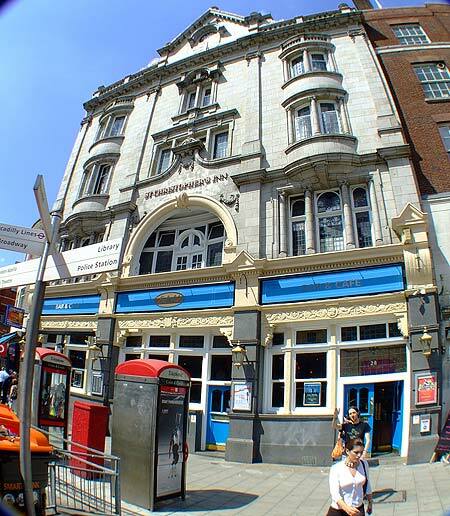 You're also minutes away from the legendary live music venue - Shepherd's Bush Empire. 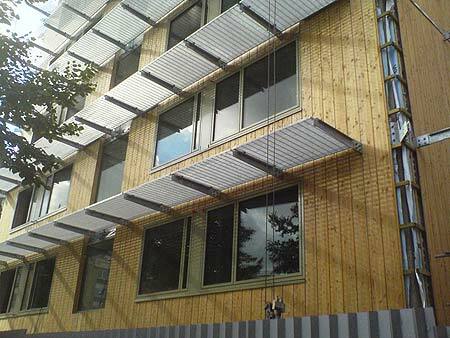 The lush Hyde Park and the trendy Notting Hill neighbourhood are also within easy striking distance. 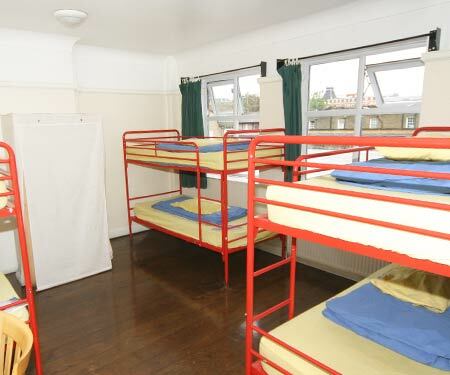 The hostel is directly opposite to the tube station which means you can navigate the city with ease. 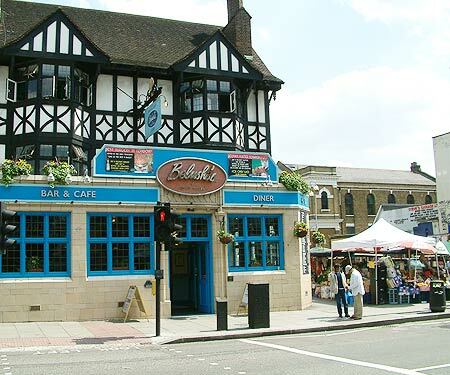 When you arrive you can spot the hostel above a busy and colourful Belushi's Bar. 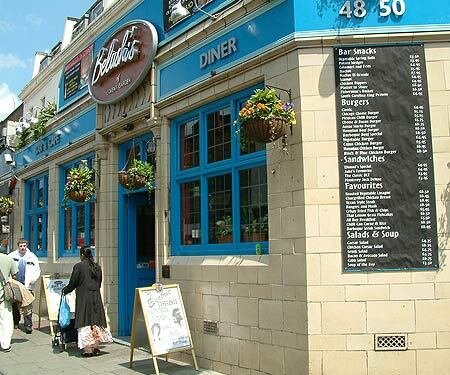 To find out more about our Shepherds Bush Backpackers Hostel in London click here.